From birth, twins Daisy and Vi Shramm have had what they call “senses,” psychic abilities. Vi embraces hers, but after a bad experience in middle school, Daisy tries as hard as she can to ignore her senses and be normal. In college, she goes by Kate (from her middle name, Kathleen), and when she marries she takes her husband’s last name; so although Vi Shramm and Kate Tucker still live in their hometown of St. Louis, Missouri, their twinship isn’t obvious. Not only do they differ in name and in appearance, their lives have taken different courses as well: Kate attended college, married, and is a stay-at-home mom, whereas Vi, after a wandering course, is a practicing psychic in town. When she predicts a massive earthquake, Kate is torn: she believes her sister, but will she support her? Kate’s husband Jeremy is a professor at Washington University, and his close friend and colleague Courtney Wheeling is an expert in seismology there; she insists that there is no way to predict an earthquake. Sisterland is narrated by Kate, and the reader has access to all of her thoughts, feelings, and insecurities. Though the majority of the story takes place during the lead-up to the predicted date of the earthquake, there are also episodes from the twins’ childhood, adolescence, and college years, as well as Kate and Jeremy’s courtship, and their friendship with the Wheelings (Hank is a stay-at-home dad). 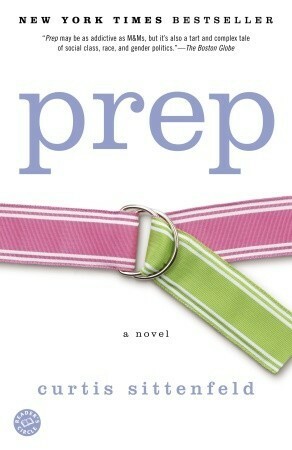 As usual, Sittenfeld manages to cover a significant span of time without sacrificing the story’s depth. Throughout her life, and the book, Kate’s frequent conflicts with her sister are a manifestation of her internal conflict: she has the “senses,” but she doesn’t trust them or want them; she wants to embrace conformity, be normal, be good. But can she be true to herself while ignoring this aspect of her character? The main conflict, when it comes, has little to do with Kate’s psychic abilities (or her quashing of them); it is surprising but utterly believable. Sittenfeld has a talent/skill for making her characters’ words and actions seem reasonable by revealing their deepest thoughts and feelings. I sympathized with Kate, though it occurred to me to wonder how I would feel if Sittenfeld had chosen to narrate the story from Vi’s point of view. Sisterland encompasses a number of issues: traditional beliefs vs. new age-y ones, the value of working vs. stay-at-home parenting (and how that affects partners’ relationships), race, fidelity, and compromise. For those who were impressed by Prep and/or American Wife, be assured that Sisterland is as good, if not better. I received a galley from Random House at the Massachusetts Library Association conference in April. 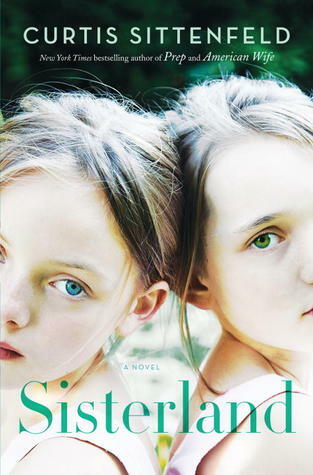 Sisterland will be published on June 25, 2013. LibraryThing’s batch of author interviews for the month include Julie Wu, author of debut novel The Third Son (which I wrote about in March) and Colum McCann, author of Let The Great World Spin and, most recently, TransAtlantic. I picked up a galley of TransAtlantic from the Random House booth at the Massachusetts Library Association conference last month, in part because I had both enjoyed and been impressed by Let The Great World Spin. Many books are enjoyable, and many books are impressive, but the two don’t always overlap. 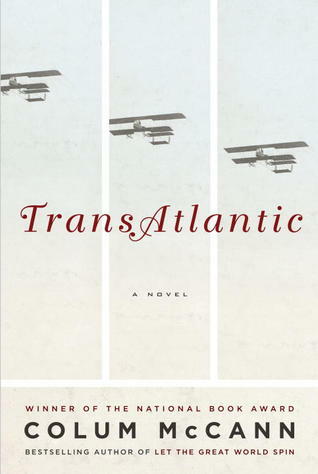 TransAtlantic takes place in three discrete time periods around three significant events: Frederick Douglass’ trip to Ireland in 1845, WWI pilots Jack Alcock and Teddy Brown’s flight from England to Ireland in 1919, and George Mitchell’s diplomatic efforts to end the Troubles in 1998. 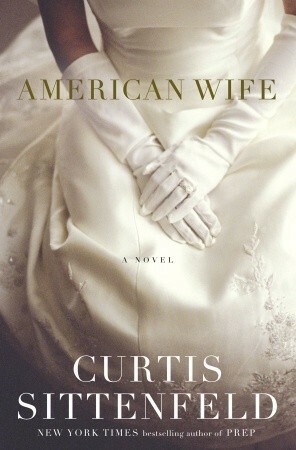 However, these characters are not the only main characters; four generations of women, beginning with Lily Duggan, a maid in the household that hosts Frederick Douglass, are also connected to these events. The different time periods, events, and character relationships are a lot for a reader to keep track of, and in the end I found that the book left impressions rather than memories. Any one of the three central stories would have been enough for a book on its own, but McCann’s style is to twine many narratives together into one. I’m not sure he succeeds here as completely as in Let The Great World Spin, but the writing is absolutely beautiful (especially if you happen to be a fan of sentence fragments, which I am). Doctorow explained digital rights management (DRM) in simple terms, then said, “From the beginning it was a fool’s errand. This is a break once, break everywhere exercise in futility that can’t prevent copying” (~10min30sec). Those who create DRM know that it doesn’t stop copying, but that it’s a speed bump (“sleeping policeman,” in Britain). However, “the speed bump is between the people who want to do the right thing and their enjoyment of the media….The speed bump is only there if you’re doing the right thing” (~11min/~12min). DRM will be broken by those who are tech-savvy, and will frustrate users who aren’t, even when they’re trying to use the product they purchased in an “approved” way. Doctorow continued, “It’s impossible to talk about technology questions without examining and weighing legal code at the same time as we consider software code” (~14min). The World Intellectual Property Organization (WIPO), established in 1967, “made it illegal to reverse engineer or interoperate with any technology that had any DRM in it” (15min30sec). This has had the chilling effect of reducing innovation; products are designed to be resistant to user modification (this is called “robustness”). Therefore, “digital rights management effectively bans free and open-source software” (~18min40sec). “Why does it matter if you can’t interoperate with a system?” Doctorow asked rhetorically. One answer is, because it kills innovation (~19m). Take DVDs and DVD players, for example: “DVDs have been out since 1996. And not one feature has been added to them since 1996….You are legally allowed to watch your DVDs. Period….And that is what you get when you add DRM to any technology” (~21min30sec/~23min). But interoperability “is only the first-order casualty of DRM.” The most dire consequence of DRM is (the loss of) transparency (~23min20sec). Devices come pre-loaded with “anti-features” that instead of saying “yes, Master,” say “I can’t let you do that, Dave” (~23min45sec). Lest we find these anti-features on our devices and simply put them in the trash, they are hidden from us: they are “designed to lie to you” (~25min). And that, Doctorow said, is the true cost of DRM. “When you add DRM to a system, you create a legal requirement for opacity, and an injunction against reporting weak security….Computers have the power to liberate us or to enslave us. When computers don’t tell us what they’re doing, they expose us to horrible risks. And when the law prohibits third parties from finding out what our computers are doing, and telling us about it, those risks are magnified” (~28min/29min30sec). Computers, Doctorow pointed out, are ubiquitous. He gestured to the audience, “Everything in this room has a wireless interface. You are basically in a microwave oven now” (~33min40sec). And he warned against complacency: “We [the tech-savvy] can break DRM, but that doesn’t mean it’s harmless” (~36min15sec). DRM and other ways that our technology is designed to work against us instead of for us have serious consequences. “People who believed that computers and networks could solve problems also saw that they had the potential for terrible oppression” (~37min). The internet is “the nervous system of the 21st century, where everything we do today involves the internet and everything we do tomorrow will require it” (~39min20sec). “We can build a network that is part of our freedom or part of our oppression….I want a free and fair world….There is no way to fight oppression without free devices and free networks” (~45min30sec/~44min20sec). Watch Cory’s talk here, or by clicking on the image at the top of this post. I wrote recently about MOOCs and online learning, so naturally I was interested in the new AL Live webcast, Library Learning Goes Online, and it did not disappoint. The moderator was Sarah Steiner, the Social Work and Virtual Services Librarian at Georgia State University Library, and the speakers were John Shank, Instructional Design Librarian and Associate Director of the Center for Learning and Teaching at Penn State University, and Lauren Pressley, Director for Learning & Outreach at Virginia Tech University Libraries. “Communication is on a different scale,” said Shank, meaning the instructor has more reach, but can lose the intimacy from the F2F environment, as well as other forms of interaction, such as nonverbal communication. Pressley agreed, “Whatever you gain from the online environment, you lose something else.” Being online can provide a sense of isolation or connection; more people may be connected, but the connection is shallower. Shank also noted that the time investment necessary in order to get deep meaningful engagement is a challenge. Pressley reminded instructors and students alike that “it is a real class! Block out time to do work, interactions, and planning.” She also added another benefit of online learning, which is that it can be a great option for distance learning, and for solving space issues (not enough classrooms, or not enough space in classrooms). Mere convenience aside, there are real advantages to online learning. Shank observed that the online environment can draw out people who wouldn’t speak up in class, and it serves different styles of learners, especially those who prefer to have time to reflect before responding. Inarguably, there is an additional time investment required for teaching an online class: Pressley listed content creation, upfront prep time, and consideration of instructional design principles. Content can be reused in future classes, but communication is time intensive. Shank noted that transparency increases because students can tell exactly how responsive the instructor is. Likewise, depending on the tools being used, the instructor can see the exact degree of each student’s participation. Here too, there are similarities between online and F2F instruction. Pressley advised, “Present content in an interesting and useful way; let students interact with you and each other; tie the material to real-world need.” Shank added, “Increase conversations and dialogues” with tools such as chat, realtime polls, and built-in activities. Steiner added that students can be engaged with each other as well as the instructor. Pressley identified three categories of assessment: course evaluation, ongoing, qualitative assessment during the learning process (formative), and learning outcomes (summative). In her classes, she gets feedback “on the fly” using Google surveys or SurveyMonkey, scavenger hunts, and other methods; strategies will be different depending on whether the course is credit-based or a “one shot” class or workshop. Shank suggested building feedback into any activity, online or F2F. He also does a learning analysis, examining how much students access course content and how that relates to performance. If students are disengaged and not doing well, he shows them a graph of time spent on class work vs. grade in course (“There is always a statistically significant correlation”). He strips personal data out, of course, but the exercise also has the effect of showing students that instructors can track their engagement and performance. Shank identified the “big three” MOOC providers at the moment: Coursera, Udacity, and edX. MOOCs, he said, are “not new technology, but the timing wasn’t right till now.” Given the limited access to and high cost of higher education, MOOCs seem like a perfect solution in terms of the access and cost. Shank predicts, “[MOOCs] are going to evolve, not go away,” and that the interactivity element of them may increase. Shank agreed that MOOCs are “part of the landscape.” Technology, he said, has had its impact on other industries such as music and finance; now it is having an impact on education. He asked, “How can we use this platform to show people what we do as librarians?” Parents and incoming students are a prime audience for academic librarians. Shank stated, “Librarians are more important than ever because we live in the information age.” He also mentioned that public libraries could serve as meetup points for students taking MOOCs, so that they can meet in person as well as online, creating a hybrid/blended learning experience. Shank said, “Test it before you do it! Be prepared.” Pressley advised, “Get there early – give yourself a cushion.” When you have a large audience, she said, “Choose less experimental technology,” go for something more simple and reliable, and have a backup way of communicating the information. Experiment with newer, more complex, or less reliable technology in small groups. Steiner suggested having a backup person available, as well as backup technology, as least while setting up. Shank reminded instructors that “learners have little experience, it’s new technology.” There is a learning curve, and patience is required on both sides. Assessment is also crucial; Pressley said, “Ask strategy questions, not skill questions: ‘What was your approach to finding…’ [rather than] ‘What did you use? '” Technology, Shank said, “Gives us more ways to assess, understand, and communicate.” Analytics about students’ work habits and behavior can be useful to instructors. As soon as I read about the Awesome Box at the Somerville Public Library, I thought it was a fantastic idea and I wanted to bring it to Arlington as well. The Awesome Box, dreamed up by the capable inventors at the Harvard Library Innovation Lab, allows library users to “cast a physical vote for an item they found amazing or useful” by returning it to the “Awesome Box” instead of the regular Returns bin. Library staff then scans the “awesome” items, and they appear on the library’s web page. 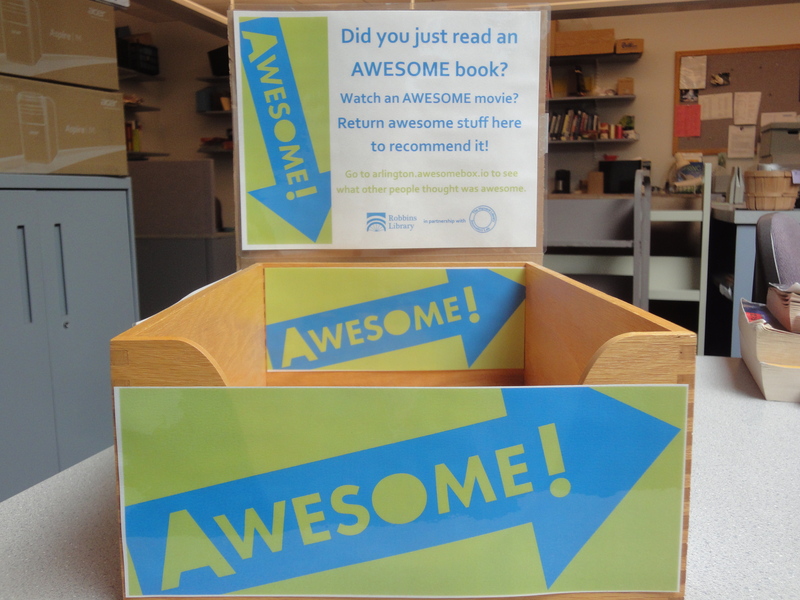 We’ve also devoted one of our four Staff Picks display shelves at Robbins to items that have been “awesomed” – so it has, in effect, become a Patron Picks shelf. It will be interesting to see what turns up there, and I hope it will be a conversation starter for library users and staff alike. Talking about books (a.k.a. readers’ advisory) is one of my favorite parts of librarianship, which is why I pushed so insistently to bring Awesome Box to our library. Fortunately, there was a lot of in-house enthusiasm in all departments, and the folks at the Harvard Library Innovation Lab have been absolutely great to work with. SPL librarians also responded helpfully when I asked them about their experiences with implementation, and based on their answers I was able to make up a simple FAQ for our staff here in Arlington. I’m looking forward to seeing what people think is awesome. I expect to see a lot of popular, high-profile books, movies, and TV shows, but I think it will also be a great way to discover some more obscure items as well. Because my reading list isn’t already long enough. This week (May 1-7) is Choose Privacy Week. Today being the 7th, I’m a little late to the game, though I do read articles, blog posts, and infographics about privacy all year round. Two recent examples are Fight for the Future’s great infographic about CISPA, and the EFF’s annual “Who Has Your Back?” report about which companies protect user data from the government. At ChoosePrivacyWeek.org, ALA has links to a curated collection of videos on the topic of privacy. Visit the Video Gallery to explore; so far I’ve only watched “Facebook Killed the Private Life” featuring Clay Shirky, which at just over four minutes is a good jumping-off point (“Social networks are profoundly changing the definition of what we consider private”). The Choose Privacy Week documentary (see below) is also a good place to start; at 23 minutes, it’s an excellent and thought-provoking overview of the topic, including commentary from Neil Gaiman and Cory Doctorow, as well as many librarians. By the way, if you’re wondering what the orange shape on the poster is – lamb chop? Video game controller? – it is a birds-eye view of a person walking. Privacy is such a huge topic, there are many different aspects to it. But watching the documentary, I was reminded of an article I read in the Guardian a while ago, “Why ebooks are a different genre from print.” I have heard enough rhapsodizing about the smell of books vs. soulless electronic devices, but this article puts that argument aside in favor of a few real and important differences between print books and e-books. Author Stuart Kelly writes, “There are two aspects to the ebook that seem to me profoundly to alter the relationship between the reader and the text. With the book, the reader’s relationship to the text is private, and the book is continuous over space, time and reader. Neither of these propositions is necessarily the case with the ebook.” If you’re reading on a Kindle, you’re telling Amazon what you’re buying, what you’re reading, how long you spend on each page, where you stop reading, what you highlight, and where you make notes. Amazon has also shown it has the capability to “disappear” legally purchased books from your device, and also the capability – though I don’t know if they’ve used it yet – to make changes to books you already “own,” like pushing publishers’ corrections to your first edition file. People who are “in the public eye all the time,” whose private lives are documented in magazines, tabloids, and the internet, who can’t go anywhere without being accosted by paparazzi, reporters, or fans. Fame often comes at the cost of privacy, and yet so many of us put personal information on the internet where it is available to anyone who cares to look. It’s not just “you and a screen,” it’s you and the whole world. So ask yourself: What is your privacy worth?